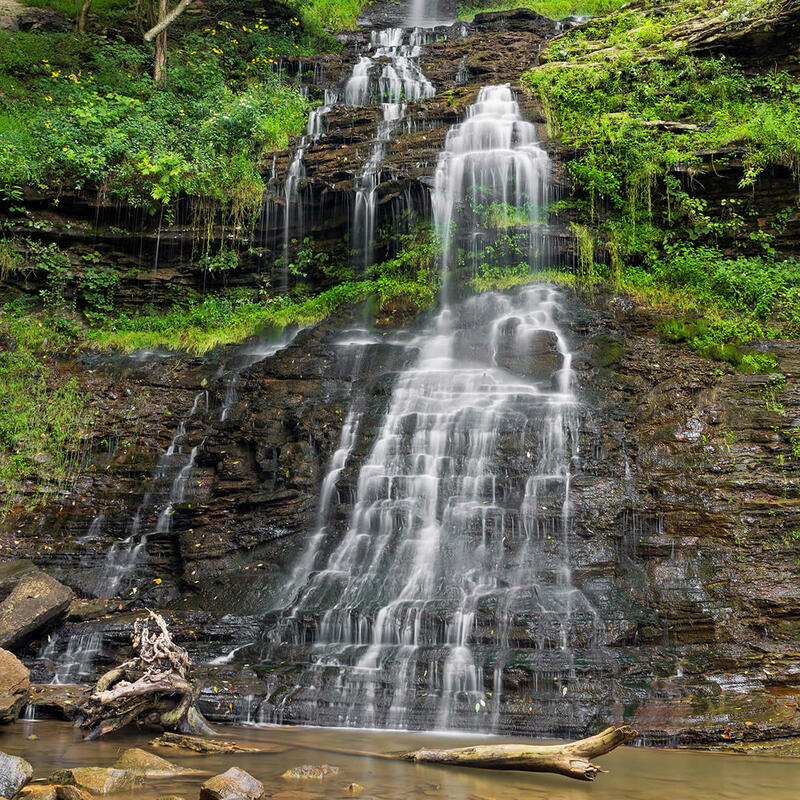 Noble and striking, this waterfall tumbles down 60 feet over multiple tiers. Named for the rounded and cavernous natural amphitheater into which the water descends, this is one of the few waterfalls that you can venture very close to. Climb carefully down to the amphitheater floor where you can view the bottom of the falls head-on.